New Delhi: Thales has announced the appointment of Emmanuel de Roquefeuil as the new VP and Country Director for India. He will succeed Antoine Caput with effect from 1st February 2017. In his new role, Emmanuel will lead and drive Thales’ growth in the country and also realise the Group’s overall goal of ‘make in India and export from India’. continuing to collaborate with the local industry and customers. Prior to this appointment, Emmanuel served as the Vice-President, Sales and Marketing for Optronics and Missile Electronics at Thales. In this role, he was responsible for the setting up of OPTROLEAD, a joint venture between Thales and Sagem. Emmanuel, 56, brings a wealth of experience spanning over three decades in the defence and aerospace market. He has been with Thales for more than 27 years and has occupied key positions in the sales and marketing divisions in France and overseas. Prior to joining Thales in 1989, Emmanuel worked with Dassault Aviation as a project engineer on the European space shuttle HERMES. Emmanuel has majored in Missiles Space from SUPAERO, Toulouse and undertaken the program for Master of Business Administration from INSEAD, Fontainebleau. He also holds a Master’s degree in Public Law and Industrial Strategy in Defence from CHEAR SORBONNE, Paris. “I’m honoured to be entrusted with the role of leading Thales in India at a time when we are poised to scale new heights in our partnership and collaboration with the country. I look forward to working with our team in India and entities across the world to deliver on our commitment in the coming years”, Emmanuel de Roquefeuil, VP & Country Director, Thales in India. Present in India since 1953, Thales today has over 300 employees working with its wholly-owned Indian subsidiary, Thales India Pvt. 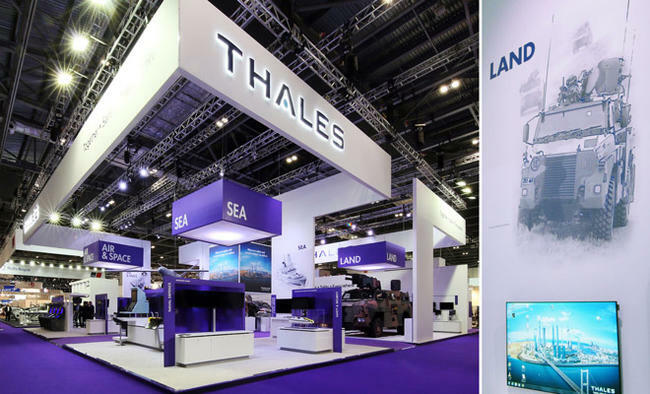 Ltd. Headquartered in New Delhi, Thales has other operational offices and sites that are spread across Hyderabad, Bengaluru, Chennai, Mumbai, among others. Since the beginning, Thales has been playing an essential role in India’s growth story by sharing its technologies and expertise in Defence, Transport and Aerospace markets.